Mars Phoenix Lander touches down! Yes, this is an image from the Mars Reconaissance Orbiter of the Phoenix Lander under its parachute, on its final decent onto the Martian surface. I know it landed on Sunday, but I just found this image today and it’s too good to miss! 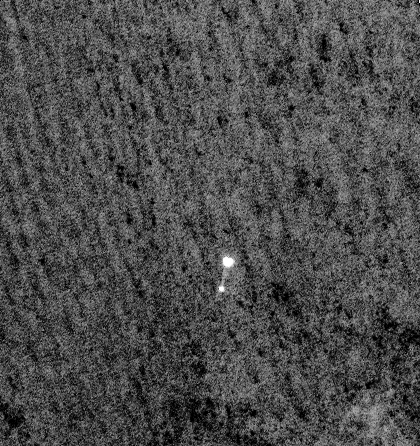 It’s the first shot ever of a vehicle landing on another world, taken by another vehicle orbiting there. 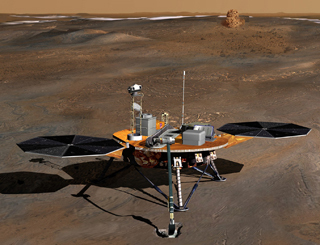 Artist’s conception of the Phoenix on Mars. The Phoenix started life as the Mars Surveyor Lander, but the project was cancelled. It includes instruments that were supposed to be on the Mars Polar Lander, which failed to return data in 1999. It was rebuilt before it was launched last August (new solar cells, etc.). The project has been conducted jointly by NASA, JPL and the University of Arizona. See the web site. 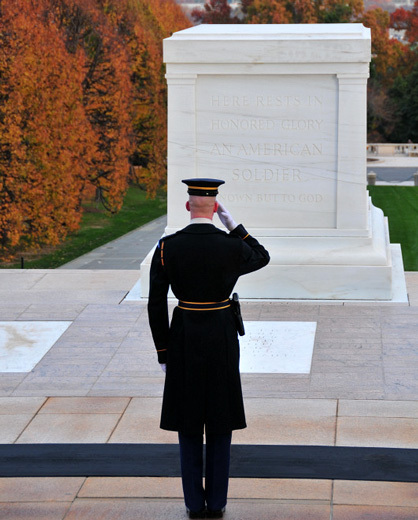 Our deepest thanks and respect for all you have done for us in the Cause of Freedom. 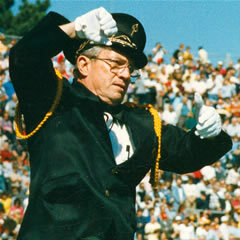 Dr. William C. “Bill” Moffit, well-known marching band director, passed away on March 5. I was not aware of it until now. Bill’s days as a style-setter in the marching band world are in the past, having been eclipsed in the last twenty years or so by drum-corps style drill and competitive marching, but in the 1960s and 1970s he was THE innovator in both music arranging style and drill. His “Patterns of Motion” drill system was used all over the US by both high schools and colleges, and it was easy to teach and worked extremely well. I was in a weekend clinic of Bill’s in the late 1970s. He was a short man with boundless energy. I always said of him after that meeting that Bill had more ideas in one day than most band directors would have in a lifetime – but Bill lacked a filter, so he tended to sometimes try the good ideas, sometimes the not-so-good. Still, he was a giant of the marching band world. I’ve used what I learned from him about arranging many times over the years. His beliefs about what made effective music outdoors will never be dated, because they were based on sound principles of acoustics and how audiences perceive musical sound. One reason Bill was so prolific an arranger was that he had to be. As I heard the story, he was inadvertently caught up in a copyright issue when he was assistant band director at Michigan State. He arranged a new pop tune he heard on the radio that week and the band played it for a televised game on Saturday. Since he put it together so fast – a hallmark of Bill’s work, always – there was not time for permission from the copyright holder. The resulting suit was paid off through years and years of arrangement royalties from Hal Leonard Publishing. I’ve heard this story over the years from multiple sources and I assume it is true. In any case, Bill wrote over 450 arrangements for his “Soundpower” series for Hal Leonard. That is a tremendous output from any composer or arranger! No director could look at a show from the audience’s viewpoint better than Bill. That’s why his shows worked, both at the high school and at the collegiate levels, and his arrangements have stood the test of time. His arrangement of “The Star -Spangled Banner” is still the best-selling of all time. Literally millions of kids played his music, and millions of audience members in the stands enjoyed it – what better legacy can we hope to have as band directors? You are currently browsing the The Old Gray Cat blog archives for May, 2008.